What Is A Web Footprint? Nope, not Bigfoot meets Spiderman in a dark alley. Let’s first rewind 40 years. Wait, that only puts us at at 1973. So let’s rewind 50 years, to make sure it feels (to me) like that was a long time ago. In the 1960s, all you needed to become established as a business person was a business card. Run down to your local printing shop (Kinko’s wasn’t around until 1970) and get a one-sided, rectangular white business card with your phone number and physical address printed in black. Boom! You’re a business, now eligible to show up at a trade show or the State Fair to hawk your wares. Then came marketing materials. Color brochures. Two sided, shiny foldouts ordinarily used to sell American-dream style homes in new developments. It stagnated there during the 1980s (apart from the Max Hedroom Coke ads, which I loved so much), but then we hit the 90s and email entered the picture. Suddenly, you were nobody without an email address, but that was easily remedied – Eudora and Yahoo were all the rage. Then we hit the millennium, and you needed a website too. Without a website, you were “of the stone age” and could not compete. You were anything but hip. By 2002, any company worth their salt had a website and through the first decade of the new millennium, website design exploded to include moving parts, movies and interactive graphics. A web footprint is a modern marketing term for your brand, presence and influence on the Internet. It includes not only information, blogs and articles that you publish, but also includes anything your partners, clients, customers or competitors put out there as well (including criticism, constructive or not!) It is the ultimate culmination of your brand in the world today. Yes, those are a lot of ingredients to manage, especially for a small business without a marketing department. Think of it as a complicated Julia Child recipe, which simply needs to scrutinized and broken into more manageable steps. Which you can absolutely do. 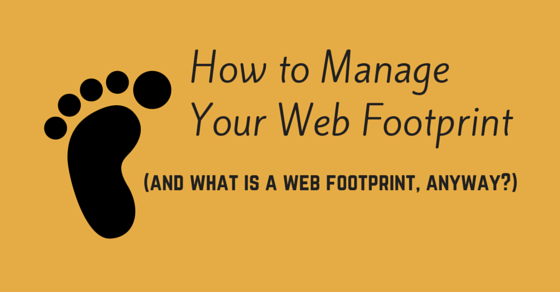 How can you manage your web footprint successfully, as a small business? 1) Make sure that you are managing your online reputation. Set up a Google Alert for any time your brand or company name is mentioned. That way, when a comment or reference appears, you’ll be the first to know, not the last to know. 2) Pay attention to those pesky emails from social media networks. When you are mentioned on Twitter, tagged on Facebook or a comment you made/link you posted on LinkedIn sparks conversation, you will receive an email notification. Don’t blow past it. Use the opportunity to do two things – keep the conversation going, and THANK the person who mentioned you! 3) Generate well written, informative content (blogs) on a consistent basis. It’s the quickest, cheapest, simplest way to establish yourself as an expert in your field. Cultivating and managing your web footprint is crucial to success in this digital age. The bright side for entrepreneurs and small businesses is that the biggies (large, well known brands with heavy hitting resources and budgets) are no longer the only ones who have a voice. Use yours and manage it well! Now That You’ve Recruited the Best, How Do You KEEP the Best? There has been a lot of talk lately about employee retention. It’s one thing to identify and recruit top talent, and entirely another to keep it. If so, you’re thinking wrong. Way wrong. Don’t keep your employees in the dark about company changes, or they will grow suspicious and distrustful. Don’t ignore or procrastinate employee requests – if you have to say no, say it immediately, diplomatically and gently. Give a reason. Don’t treat your employees like children, even if they act unreasonably – even when a conflict arises, speak in a non patronizing manner. Don’t wait for an employee to ask you for a raise – it’s horribly stressful for the employee. Instead, issue salary reviews once yearly so the onus is not on the employee. We began as a fledgling startup almost six years ago, and since then, we’ve listened to our employees closely enough to offer them what they want and deserve. We audited them a few years ago to find out what could make our working conditions better and more attractive – we learned about (and put into place!) several reasonably priced benefit options which motivated our stars to stay with us. And with us they have stayed. More than anything, employees want to feel appreciated. They want to know that if they are having a hard time personally, you are present, patient and understanding. These are people, not products – they are often juggling considerably more than what you’ve assigned to them. Take the time to check in. Listen. Be understanding and shift some of the heavy stuff off their plate for a while if they seem to be drowning. Find out what your employees’ goals are. No, I don’t mean “Where do you see yourself in five years?” I mean finding out where he would like his career to go and offering support, education, assistance, or even just exposure to projects that could lead him in his preferred direction. A little interest, some empathy and genuine support goes a long way in keeping those fantastic employees. Nobody does time management better than a proactive, professional administrator. One of the biggest stumbling blocks for many professionals today is juggling an infinite number of tasks at once. 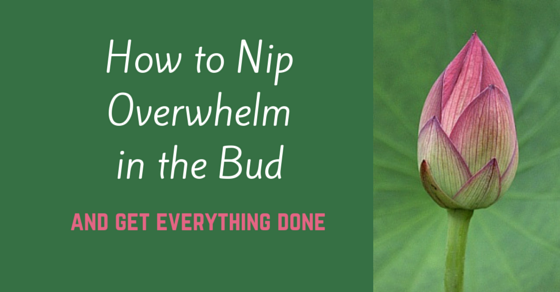 Unless you were born with the juggling gene, every one of us has found ourselves overwhelmed and at a loss due to the sheer scale of tasks that need to be completed. I’ve been there. Over the years, however, I have honed a solution to take on every administrative project, event and deadline that comes my way, and to succeed in it. How do you feel when facing that flood of to do’s? Apprehensive is one world that stands out for me. Stressed is another. Overwhelmed could work too. Why do we feel this way? Simply put – because we lack the required tools to take on an entire mountain of tasks simultaneously. A mountain is made up of ingredients like everything else – dirt, rocks, flowers, grasses, trees, snow, ice, and water. Break it down even more and the mountain no longer remains that solid object that we initially saw, but an infinite amount of molecules and atoms traveling around at high speeds. The same goes for our workload. From the outside, one may only see the big picture, but behind the scenes, there are an infinite number of details to be handled in order to create that semblance of a whole. Simply because you have 47,000 details that you feel you need to organize within 24 hours does not necessarily mean that you really do have to manage all 47,000 items. More often than not, there are only 2,000 or so that must be balanced immediately. And we all know how much easier it is when our tasks are reduced by, well, anything! Start a list. Nothing helps to calm the over-stimulated mind than to literally take things off your mind by spilling them out onto paper (or your iPad). Document every little thing that needs to be done. Every time a new detail or task arises, add it to the list, thereby creating your own personalized, trusted system – literally taking a load off. Break it down. Got it all on paper? Take a critical look at it. Most likely you will find a number of projects to be approached and specific tasks that fit into those projects. Divide the list into projects and place the smaller items (tasks) under each project. Once divided into bite-sized pieces, although your list ostensibly still contains 47,000 details, you have made decidedly more sense of the chaos. Now comes the kicker. It is one of the simplest and most efficient time management concepts that I have ever learned. Think of it as divide and conquer. Is this important or unimportant? Is this urgent or not urgent – able to wait a day, or even a week? Now you have a complete, organized and prioritized list of tasks. Take everything not urgent and put it aside. Return to those tasks when you finish the essentials and have the chance to breathe again. Delegate. If you don’t need to do it yourself, then have someone else do it for you. Here, a Virtual Assistant could make a perfect addition to your time management effort, allowing you to focus on the tasks only you can perform. Sometimes it’s not easy to let go of the details, but it will save your sanity, and likely your business, to learn to dole out the workload. Tackle one thing at a time. You have a clear and concise (well, probably not very concise) list right there in front of you. Start with the most urgent and important of items (your IU list) and work your way down, one task at a time. Don’t let yourself become overwhelmed, it will just add to the stress. Take each task one at a time, complete it, and move on to the next one. To keep myself going strong through the lists, I always divide up the less interesting tasks with the ones I enjoy most and give myself incentives for finishing (chocolate, anyone?). Don’t burn yourself out. When you need a short break, take it. You would be amazed at your capabilities to competently organize 47,000 details in 24 hours. All it takes are a few tricks of the trade. A fledgling accountant once advertised a free 90 minute lecture at my local community center on how to claim your child tax credit. In flocked lots of paycheck-to-paycheck parents (myself included) hoping to learn how to file independently and ultimately earn the elusive $1,000 per child government credit. The accountant showed up early, set up his flip charts and slides, and painstakingly walked through the process – step by step – with the note-taking audience. He wasn’t even particularly charming. He is an accountant, remember. Yet – lo and behold – he earned three new clients that night. Why? The crowd responded positively to his valuable offer of free advice, especially considering he delivered exactly what he advertised, with no strings attached. I dislike a sales pitch as much as the next guy, and all of us were able to gracefully avoid any such unpleasantness, thanks to the non-charming accountant’s decidedly un-salesy delivery. He catered his presentation to an audience with little knowledge of tax preparation (me!) and came prepared. He capitalized on the opportunity to demonstrate his expertise to a niche audience who clearly not only needed assistance, but were actively seeking it. His patient demeanor only added to his credibility. Most attendees that night returned home and prepared their tax returns, myself included. I was curious, though, about his strategy – so I called him a month later to ask if the stunt delivered any real productivity. Apparently, two attendees that night felt overwhelmed by the information even though he had walked everyone through it. They approached him post-lecture, admitted “tax defeat” and took his card. They hired him to prepare their tax returns within three days. The third took his card and emailed him the following day. While he was comfortable with his personal tax return (thanks to the valuable information the accountant espoused) he needed assistance filing his business taxes, and needed a knowledgeable expert he could trust. Bingo! Client #3. Yes, sometimes it’s worthwhile to give it away for free. 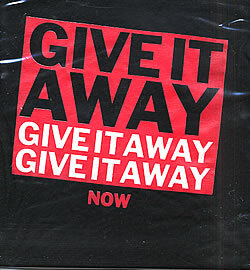 Why give away the very thing that you sell? That’s basically what you’re doing (or should be doing) with your blogs and social media effort, right? You’re giving away tips of your trade to assist others seeking advice and direction. Speaking engagements are no different. It’s worthwhile for you to identify volunteer speaking engagements and go after them. You may need to pitch your topics to those managing the venue you’re targeting, but that should be clear, easy and un-salesy as well. No, it need not be a 90 minute presentation (it can be intimidating to speak, uninterrupted, for 90 minutes if you have not made a career of public speaking), but let’s be honest – you are talking about the topic you know best. You did go into your field because you’re both passionate and knowledgeable about it. It’s not as if you are being asked to ramble on about a topic you have never addressed before (scuba diving? Raw food diets? Rabbit hunting?) This is something you could speak about in your sleep. Make a list of physical places your audience already frequents. 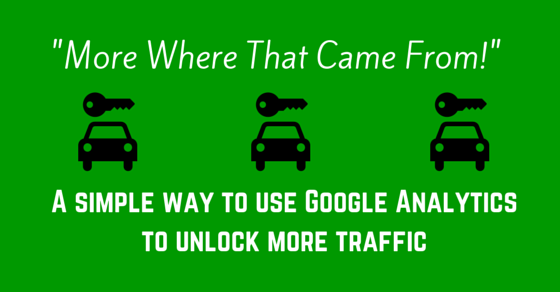 Now, expand this list to target places people gather. Community centers, houses of worship and shared work spaces are ideal targets. In addition, some trade shows, fairs or brick and mortar stores would welcome a free speaker. Stores are competing with other local providers and prefer not to compete simply based on price (who can compete with the likes of Walmart, anyway?) Should you offer them an evening of free content, for the cost of some coffee and cookies, they can draw a crowd of potential clients to their store, who, in turn, could become potential clients of yours, as well. Get in touch with those who manage these places, and it doesn’t have to be anything formal. A simple phone call can do the trick – managers of non-profit venues are often volunteers and not exactly “corporate types” – you are not pitching a government defense contract here. There is no due diligence and there are no deliverables. Relax – you are in a buzzword-free zone. You are simply offering a valuable service to an audience who actually wants or needs the information, and you’re doing it for free. Keep track of the places you are targeting and pitching, and the topics you’re offering. Make sure they’re current and relevant. That way, when you get feedback that sounds more like “I think we might have room for something like that in March” than “Sure, come on down next Tuesday,” you’ll know exactly when to follow up, and with whom. Since you do not want this effort to monopolize your time, document dates, targets and interactions so everything can be efficient and streamlined. If you offer strategic, gratis speaking engagements filled with real, genuinely valuable takeaways to an audience in need of the information, everybody wins. Your name (and the fact that you’re trustworthy and knowledgeable) gets out there, and your target audience not only takes your card, but also spreads the word on your behalf. Testimonials, personal accounts, and recommendations always go a lot further than advertisements, as you know (last time you were seeking a professional, did you look in the Yellow Pages, or ask around?) As long as you stay away from sales pitches (which will damage your reputation) an evening like this is absolutely worth your time. Let’s pretend for a moment that you own a brick-and-mortar company, Bob’s Brick Business. As Bob, you spend hundreds of dollars each month in advertising – radio ads on your local station WQUR, print ads in “Better Homes and Garages” magazine, even paying neighborhood kids to go around town and put flyers on billboards and telephone poles. When a new client walks into your store or calls you on the phone, and you close a deal to deliver 50,000 neon green bricks – what question are you going to ask them? So you ask your clients how they got to you. Even if they don’t become your client immediately, but they did walk into your store – you’re still going to want to know how they found out about Bob’s Brick Business. Now you can stop being Bob. Maybe you don’t have a brick-and-mortar store. But if you’re reading this, chances are you have a website, and chances are even better that you really want people to visit your website. You probably want more traffic than you have right now, and you especially want them to convert (accomplish the goal of your website – buy, contact you, sign up, etc.). Maybe you invest nothing in advertising. Most likely, however you do something to try to draw visitors to your site, whether it’s SEO, commenting on other sites in your market, or establishing a community via social media. That’s a time investment, or perhaps if you outsource it (to someone like me) it costs. Which of those activities is working the best for you? Which should you put more effort into? Which should you stop – or modify your approach? Let’s take a look together at your Google Analytics. If your response was “but I don’t have Google Analytics,” or “What’s Google Analytics?” drop everything and get it onto your site. Seriously. It should take about 5 minutes, and you can probably do it yourself. You could also ask your web developer to do it for you. If you don’t have it, with every day that goes by you’re missing out on information that could help you make your site more successful. If you want a step-by-step post on how to enable Google Analytics for your site, leave a message to that effect in the comments below – and we can arrange it. So sign into your Google Analytics account. Under the Standard Reporting View, check out the left sidebar. Go down to the item entitled “Traffic Sources” and click. Here you’ll see a rundown of all the referring sources. (Direct) / (none) means this is traffic that came directly to your site. It was typed into the browser bar, or it was through a bookmark someone had made of your site; it did not come through any other site. On occasion (direct) / (none) traffic actually does come from a particular referrer that you would want to know about, like your email newsletter. But if you’re just starting out with Google Analytics and referring sources, get this post under your belt first. Google / organic indicates visitors that came through searches in Google. Other search engines will show up similarly, e.g. Bing /organic. Google / cpc is not listed here, but if it were, it would indicate your paid ads in Google – people who clicked on your ads and reached your site that way. Most other entries will have a /referral at the end – those are visitors who came to your site from clicking a link on another site. So if you saw virtualassistantisrael.com/referral in your Analytics, that would mean that your site visitor reached you because he or she clicked our site’s link to you. Let’s look at those one by one. If you click on “Direct” in the menu bar, you’ll generate a list of the pages on your site and how many people reached them directly. If you click on “Search”, you’ll be able to see the keywords that drove your “organic” (regular search results) traffic and “paid” (Adwords, et al.) traffic. It’s helpful to see which keywords people are typing into the search bar that are actually getting visitors successfully to your site. If you click on “Referrals,” you’ll see the traffic that came via other sites. What does this chart mean for my future marketing efforts? LinkedIn has been performing pretty well for me – I should probably keep investing effort there, and see if I can make it even more effective by writing and updating my status more, or participating and posting in additional groups. 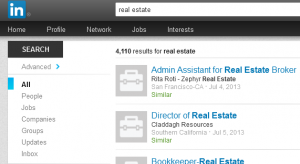 Searchenginepeople.com is a blog where I was a regular guest blogger. These visitors would have come through the link in my bio. Seems like my posting on that site is doing the trick – maybe I can post more often? Maybe I should look for other similar blogs to propose a guest-spot. Debi-z.com is a site that I used to manage, and there were some blog comments that referred people to my new site. Maybe there’s a way to get a link on a more obvious page – not just at the end of the comments of a particular post. Review all your referring sources. Think about how you could better utilize those sources to generate more referrals. And the opposite – if you have been posting and putting in lots of time on a particular site, but there are very few visitors referred from that site, you might want to look elsewhere – or at least refine the way you mention your site over there, to see if you can get more people interested. Now you know which sources are sending you visitors – people who walk in the door of your virtual store. Bonus points if you can know which sources are sending you converting visitors – people who actually buy. There is a way to do that in Analytics, but it involves setting up Goals… which is a subject for another post. Stay tuned! You may not be spending hundreds of dollars on getting your name into different media, like Bob the Brick Businessman. But you likely are spending your precious time to give yourself and your site a presence on other websites. Go into your Analytics and find out how to use your time wisely and profitably. Increase your return on investment. As a small business owner myself, I really do “get it” that your business is your baby. You founded and built something to be proud of – with dedication and perspiration – yourself. It is cause for celebration that you have expanded enough to require qualified support – you know you can no longer handle each and every task independently. To most efficiently utilize your newly-hired helping hand, however, you will need to delegate tasks that had previously been yours, alone. Of course, this is entirely the point – but learning to let go of some of the tasks is a process involving both psychological and logistical preparation. For some of us (control freaks!) it can be difficult to separate from being as intimately involved as you have been up until this point. From one business owner to another, I’ve put together some handy exercises to prepare you to Let. Go. Keep a delegation list. Prior to beginning with a Virtual Assistant, give yourself a week with an ongoing list (yes, an actual list – not just a list in your head) next to you at all times. Actively think through each task you perform. Is this something you would feel comfortable delegating? Do you really need to handle all of your correspondence, travel arrangements, social media posts, research, and all those nagging phone calls – personally? Wouldn’t it be great to get rid of that stuff? Examine each task for its delegation potential. When you find one you consider eligible, write it down, even while it’s still just theoretical. Ask your sounding board. Turn to someone you trust – your spouse/partner, confidante, coach or advisory board – what aren’t you good at? Really, nobody can be the best at everything. Maybe you’re taking care of things that someone else could do better or more efficiently right off the bat. Possible items that would fall in to this category might be blogging, seeking out potential speaking or networking engagements, identifying the best priced vendors, determining which social media channels are most appropriate for reaching your target audience, or secret shopping your competitors. Document outreach guidelines. How many points of contact (correspondence, newsletters) do you want for your clients and suppliers each month? Do you prefer your social media presence to be predominantly material that is original (your published blogs or articles) or passed on from others in your field? Start writing these things down so your VA can hit the ground running with minimal formal instruction. When you come across content you feel your audience would appreciate, throw it into a “social media” file to give your incoming VA examples of articles, websites or blogs you favor. Visualize the results. Not everyone’s the touchy-feely type, but give it a try. Imagine what you could get done with the nitty-gritty stuff out of the way. Surely, you would be able to do more of what you do best, which is why you run your business in the first place. Additionally, the dreams of reaching a point where you’re not being eaten by logistical tasks can become a reality by just letting go a bit. Even better – you’ll earn the possibility of enjoying some free time. Nice picture, right? Remember that vision. Enter the interview process with a clear vision and expectations. When selecting a Virtual Assistant, you will be presented with a number of qualified, suitable candidates. Make the most of your interview with each applicant. Succinctly summarize not only what your business does, but what you envision your VAs role to include. At Virtual Assistant Israel, we expect that your business will expand, and as such, we know your initial needs may change throughout this expansion. And that’s okay. Even given those upcoming changes, you’ll feel more confident (as will your VA) with clear-cut expectations in place at the outset, even if they’re somewhat skeletal. Avoid being overly concerned that your lists and files are currently disorganized. VAs are organizational wizards and can absolutely deal with that – scary, but it’s kind of what Virtual Assistants live for. While many articles on delegating in small business instruct the business owner to lower her standards when outsourcing in order to find success – with a competent VA at your disposal, I do not believe you need to compromise. While there is always a learning curve involved, and your VA can never be you, perhaps she can perform some of your tasks even better than you can. Loosening the reins in order to allow your small business to grow is not only liberating, it’s one of the greatest investments you can make in your company. 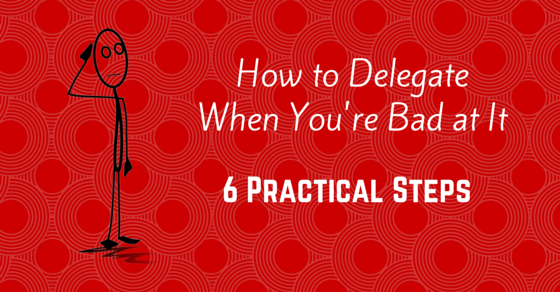 Empower yourself by preparing to delegate, and your business will soar. You’re probably on LinkedIn. You probably have some connections – whether it’s 18 or 18 million. You also probably belong to some LinkedIn groups. The question is: do your LinkedIn groups do anything for you besides decorate your profile and clog up your inbox with daily digest emails? Here’s how to get on the path to making them work for you. There are two kinds of groups you might want to join – each with a different purpose. The first type of group is a group of colleagues. For a caterer, this would be a group where the other members are caterers. For a lawyer, this would be a group where the other members are lawyers. If you’re a Philadelphia caterer, you might want a community to ask about the best place to buy local herbs wholesale. You might want to order ingredients online, but want to hear from other caterers who have done so and what their experiences have been. You might want to commiserate when business is low because of a recession – and to hear what caterers in other areas of the country have done to stay afloat. Now you’re a lawyer. If you answer the legal questions of the other lawyers in the group – solid, thought-out answers that point them in the right directions; if you share articles and posts that inform and educate the other members of the group, especially if they’re your own articles – you will establish yourself as an expert in your field. Why do you want to be known as an expert (aside from the obvious ego boosting benefits)? If your colleagues view you as an expert, they may be inclined to refer appropriate business your way. They may also turn to you for consulting if they’re faced with a professional challenge. The second type of group is a group of potential clients. For our Philadelphia-based caterer, this could be a group of small businesses based in the Philadelphia area (often businesses need catering for meetings and events). For a lawyer, this could be a group for the field in which he specializes. For example, for a real-estate lawyer, this would be a group for real-estate agents. You join these groups to expose yourself and your expertise to potential clients. If the real-estate agents see how professional and expert you are as a lawyer, they may be inclined to call you the next time they are looking for a new real-estate lawyer. They may also recommend you to colleagues who are looking. 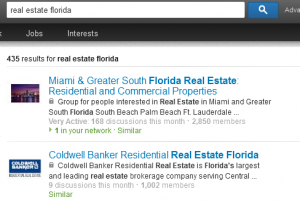 Enter whatever type of group you’re looking for into the search box at the top of your LinkedIn page. Click on the little magnifying glass. You will get a combination results page – people, jobs, groups, everything. Okay, well, 435 is better than 19,777, no? This is assuming you’ve joined the group to establish yourself as an expert in the field and attract clients (if you’ve joined for moral support, you know what you want to share). First of all, if you write any content for your field – on your site or on other websites – you’re going to want to share that. Aside from your own writing, find other articles and posts in your field – topics that will be helpful to the other group members – and share those as well. Use search engines to start with; Google your topic and check out what comes up. After you’ve made a list of a few relevant links, set up a Google Alert for yourself, so Google can do the work and you can sit back and receive targeted results. 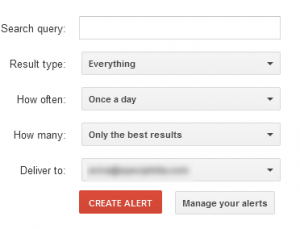 Choose how often you want the alert –once weekly should be sufficient. That way it won’t clog up your inbox or distract you. You can pick one day a week to go through all the links in the alert email and prep your “content to share document” for the coming week. What should be on your “content to share document”? The title of your discussion, the content of your discussion, and the link you want to share (if there is one – you can also share thought-provoking ideas and start interesting discussions without a link for further reading – whatever fits the situation). Note that while you can have a very long post, only about 139 characters will make it into the excerpt that appears on the group’s discussion page. And only the title will appear in the email digests. So it is critical to make your title stand out – and those first 139 characters should draw the reader in. Which attracts your attention more? Important tip: Make sure that your discussion title differs from your link title – if you don’t, LinkedIn will remove your discussion title as an attempt to avoid redundancy. 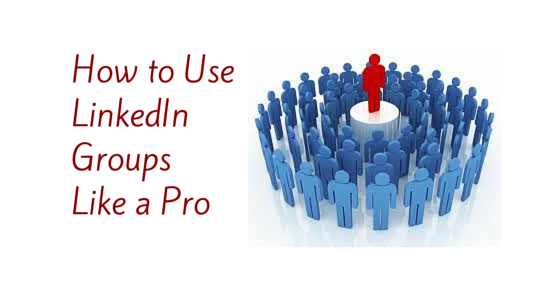 Just for you, we put together a LinkedIn group posts prep template for you to use. Just copy it to your own Google Drive. There’s an example in there already. Follow the pattern, and when you actually want to post something, copy-paste to the right fields in your LinkedIn group page. The column to the right of the “Post” column is set up so it shows the number of characters in the post, and you can get an idea of what will show up on the Discussions page. 3) When are you going to post? I mean, after all this hard work setting everything up, you want people to actually SEE what you post, right? For very active groups, this is even more critical. Check out this guide to timing your LinkedIn posts for maximum exposure – figuring out when daily digest emails are sent out for your groups, and timing your post publication accordingly. Have any other tips for getting business value out of LinkedIn Groups? Share with us in the comments below! Relationships are complex. They can be both frustrating and rewarding. We want to invest time and energy into the relationships closest to our hearts – a spouse or partner, children, family and friends, but work relationships… not so much. Who’s got the time? 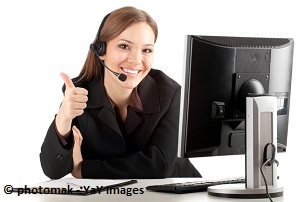 Along come the wonderful benefits of a Virtual Assistant. Working with a VA comes with the distinct advantage of no manufactured-yet-required smile when you walk into your office. Small talk elimination: you don’t ask your VA if she wants sugar in her coffee, while you are preparing your own. Nor do you have to keep your voice down when you are arguing with your spouse over who is to pick up the toddler from daycare. Ahhhh, mental space. Sounds good, right? So, how do you build a hassle-free virtual partnership with someone who is invested in your company and understands how all its intricacies work? First, hire someone good. The rest is listed below. 1. DELEGATE The first step in working with your VA is to figure out the right tasks to take off your plate. Examine what takes up the most of your time, isn’t income-generating, or you simply hate to do. 2. BE STRAIGHT Start off the relationship by being as straightforward as you possibly can. Spell out your objectives and expectations, the tasks you want managed regularly and how many additional projects you expect to come up. I recommend putting it all down on “paper” or requesting a document with everything spelled out as your VA understands it. This way, there are no surprises or misunderstandings. 3. PUT IN YOUR TIME Invest some time in training your VA on the ins and outs of your business processes, your clients, your voice and your preferred technology tools. This might sound counterproductive since, at the beginning, you’ll be spending more time training your VA than if you simply performed the tasks yourself, but in fact, when you put in the time to train your VA properly, you’ll benefit in the long run. 4. GIVE CLEAR INSTRUCTIONS When assigning a task make sure that all its components are clearly laid out and that your expectations are voiced. Include a due date. Don’t leave anything to be assumed! Remember Oscar Wilde’s take on what happens when you assume? 5. DOCUMENT PROJECTS AND PROGRESS There are numerous programs to manage teamwork, from an easy (and free) Excel spreadsheet to CRM or Project Management software. Find the one that works for you and use it! 6. CALL It’s a good practice to check in with your VA weekly. Setting a specific day/time of the week is best as it becomes part of your work routine. Even if it’s a simple 5 minute call, it’s a great tool to keep the relationship on point. 8. MICROMANAGEMENT; THE NOT-SO-SILENT KILLER Micromanaging is a killer when it comes to building trust and morale in a work relationship. It’s important to note that humans, by nature, have a desire for autonomy, so don’t squander that with micromanagement. 9. TRUST YOUR VA You’ve come to Virtual Assistant Israel, a company that spends an inordinate amount of time sifting through candidates and hires ONLY the best of the best. You’ve interviewed three qualified VAs and have chosen the one you find most suited for your needs. Now trust that decision and let her do her job. 10. BE OPEN TO NEW IDEAS Your VA is a fresh pair of eyes. Let her know that you are open to hearing about more efficient ways of doing things. Not only will this mindset support your success, it will make your VA feel more included and invested in your success. 11. RESPECT BOUNDARIES When starting a new relationship with a client I find it to be a good practice to communicate my “work hours”. I explain that these hours are not hard and fast rules (I’m always willing to go the extra mile, or in my case the extra few hours), but that’s when they can expect me to be available. Your VA is balancing work and family, just like you are. Respect those work hours and assign tasks accordingly. 12. GIVE FEEDBACK Once your VA sends you a completed task, be sure to provide feedback, especially at the start of the relationship. It can be glowing or constructive, but give it! Left unsaid, your VA will wonder if the work met your expectations. When the feedback is positive, she’ll be confident continuing the work she’s doing. If the feedback is constructive, it’s an opportunity to tweak the way you like things done so it will be 100% the way you want it, next time. 13. ASK FOR FEEDBACK (and listen to it!) Check in with your VA about how the tasks and relationship is progressing. Ask if there is anything that you can do to help the partnership thrive. Sincere interest will go a long way in productivity! 14. KEEP YOUR CRITICISMS CONSTRUCTIVE Although nobody wants to admit it, times will indeed come up when you will be displeased with your VA’s work (nobody’s perfect.) When that time comes, it’s important to express your disappointment in a constructive way. This does not mean stepping on eggshells so as not to hurt your VA’s feelings, but there is a fine line between mistakes that need to be addressed and lashing out in your disappointment. 15. AND FINALLY – LET GO! Once you’ve finished training, established trust and have found a system to keep the lines of communication open with your VA, let go. Rest assured that the tasks and projects you’ve handed over are now in your VA’s very capable hands. Follow these steps and you’ll find that you’ve earned a successful partnership with your VA, which will give you the time and freedom you need to invest in growing your business. Hi! In case you are wondering why you are not receiving more Google visitors, you should know that your site is not ranking at all for many important keywords. We can get you first page spots for your keywords and increase your search traffic. Be in touch with us at jane@seocompany.com. If you have, I hope you ignored it. Spammy offers sent through a contact form (or worse, as comments on your blog posts or company Facebook page) are dead giveaways of a company with whom you do not want to do business. 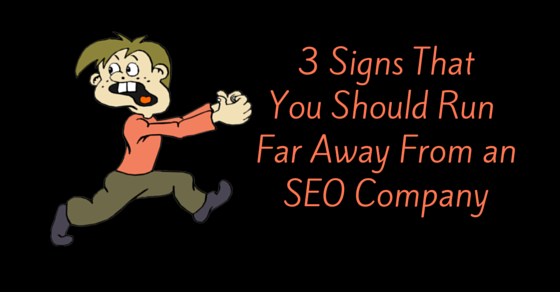 But even if you actively sought out an SEO firm, there are plenty of fly-by-night companies out there that you might land on by mistake. Unprofessional operations will – at the least – take your money and not do anything productive. At most, they could do actual damage to your site’s standing in search engines with their “SEO techniques”. How do you know when to stay away? The following are three tip-offs that will help you keep your money in your pocket – ready to give to a better contender. Ask the company how they will decide on the keywords for your site. If the answer sounds like, “We use our heads and/or a tool to brainstorm all the possible keywords that might be relevant for your market. 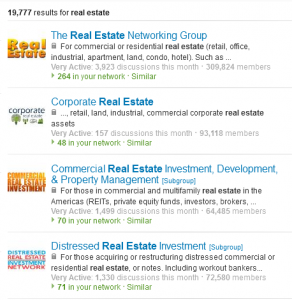 We use a tool to find the search volume for each of those keywords. We optimize your site for the relevant keywords with the highest search volume” – stay away! You may end up having a well-optimized site for your keywords – but if you’re competing against the likes of Apple, IBM and Wikipedia for the same keywords– you ain’t got a fighting chance. For any keyword they end up suggesting, a good SEO company should be able to tell you why they chose that keyword and not a different one. Ask. Request to see their documents with recorded search volume and analysis of the competition. A good SEO company will be transparent. Putting keywords in the keywords meta-tag for a web page helped in ranking… about 10 years ago. About four years ago Google officially announced that they no longer look at the keywords meta-tag – and made it sound like it’s been that way for a while. So putting your keywords in the tag is only useful for revealing to your competitors what keywords you’re targeting. Not a great strategy. If your SEO firm wants to use the keywords meta-tag, ask why. If they say, “To help in getting you to page one,” run! They are way behind in an ever changing and quickly evolving game. If they say, “To put fake keywords in to fool your competition,” your call. Not my personal strategy, but not a red light as to their SEO-savvy. 3) They won’t tell you what their techniques are OR they tell you what their techniques are – and they consist of commenting on blogs and forums. If either of those two are missing, do not pass go or collect $200. Walk away. b) They outsource their SEO work and don’t do most of it themselves (not uncommon when it comes to bigger companies that claim to do everything digital marketing related). If they’re outsourcing to qualified people and have a hand in what’s going on, that’s not necessarily bad – but if they can’t tell you the techniques, it gives you some idea of their measure of involvement in the process. One more bonus tip-off: Be concerned if the SEO company “guarantees results” – especially if they do so before having spoken to you and gotten a feel for your niche. To succeed in SEO usually means to come in above the other sites competing for a specified keyword. Your SEO company can’t control the competition and what the competition does. It’s a little like a baseball coach guaranteeing that if the team hires him, they will win the championships. Ask exactly what kind of results they “guarantee” and what happens if those results aren’t achieved. Make sure that’s written in whatever contract you sign… but again, I personally would shy away from companies making promises like that. May you find the SEO firm of your dreams, that will not only take you to high rankings in Google, but to measurable success for your business! As a Virtual Assistant, I am often asked “What can a VA accomplish?” Though I have worked with my clients on every aspect of running and growing their business, I narrowed the field down to five items a VA can accomplish in an hour a day. So, you’ve got a number of clients at a number of stages – potential, first-timers, repeats – with a myriad list of needs and questions. With the responses you provide to my consolidated question lists, go ahead and kiss that mountain of emails goodbye. Your clients will get the responses they need in a timely, well-written, professional fashion. You’ve seen your business flourish thanks to the time and talent you’ve invested. You’ve most likely also noticed that the business procedures – the flow chart, if you will – has gotten more complicated over time, and need to be streamlined and standardized. That may not be your strong point, but it is mine! 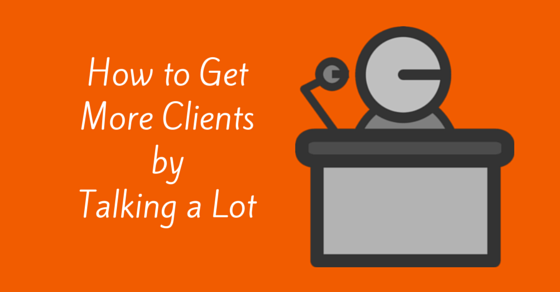 Don’t let your clients and potential clients fall through the cracks due to disorganization. You can have the most organized business in town. Twitter, Facebook, LinkedIn, article sites, blogging… it may not be your game, but it is THE game today to get your name and reputation seen. I can find material to post, co-ordinate posting times, keep on top of re-tweets and reply to posts in an hour a day. Do you need a blog post written? I can do that, too, but it’ll take about…… an hour. Both common sense and statistics clearly show that client loyalty rates are far higher when you keep in touch and actively foster the relationship. Whether your budget permits an annual holiday card or a stepped program of logo-printed thank you gifts, I can get that program up and running for you. Need to purchase supplies? I can find the best price. You also need to know what your competitors are up to, and I can find that out, too. The information you should have pertaining to your field is nearly endless. Research is required to price your goods and services, to see if you’re marketable nationally and internationally and how, (Teleclass? Webinar? Skype? And how does shipping work?) You also need to know with whom could you potentially partner to guest blog, interview, share referrals and contacts. That’s all research, and an hour a day can go a long way. An hour. It could be used for so many things. Why not use YOUR hour for what you WANT to do and let me do what has to get done?